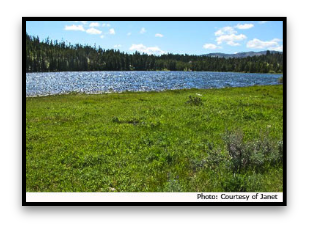 Krohn Lake, which was described on the return trip of the Lewis & Clark Expedition July 7, 1806, is a 35 acres privately owned lake. It was named by a previous owner John Krohn, If anyone has any information on John, please let me know. The lake is located north of Highway 200 off of Copper Creek and Landers Fork. My thanks to Janet for the photo and the information on the lake. Krohn, Germany is a hamlet or small village, a few kilometres north-east of Eldena, Germany. If you are interested, look for it in Google Earth. My thanks to Jason for pointing this out and to Hans Peter for allowing me to use the photo on the left. 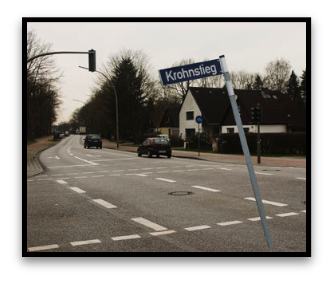 I recently visited Hamburg in Northern Germany and was surprised to find a street named "Krohnstieg" in North Hamburg, close to the airport. I presume "Krohnstieg" translates to Krohn's Hill or Krohn's Rise. My city map of Hamburg also lists "Krohnsheide" and "Krohnskamp". Unfortunately I was not able to visit either of these streets. The Krohn Conservatory is in Eden Park in Cincinnati. In the 1930s, Eden Park Board decided to replace the existing greenhouses in the park with a Plant Conservatory built in the Art Deco style out of aluminium and glass. Eden Park Conservatory was opened to the general public in 1933. 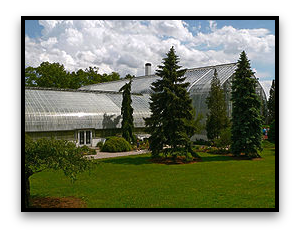 The name of the conservatory was changed in 1937 to the Krohn Conservatory to honour Irwin Krohn for his 25 years of service on the Board of Park Commissioners. Today, the conservatory houses over 1,000 different species of plants permanently displayed in different areas, such as the Orchid or the Desert or Tropical house. Horticulturists lead education programs and gardeners put on five annual flower shows. There is also an annual spring butterfly show. There are a number of small cemeteries often on private land throughout the US. The one featured here is perhaps the biggest one and is located in Harrison County about 1.6 miles southwest of Latimer Community and 6.5 miles northwest of Ocean Springs in Mississippi. The cemetery was created with the burial of Charles F Krohn in 1876 and a number of his descendants are also buried there along with some non-Krohns. 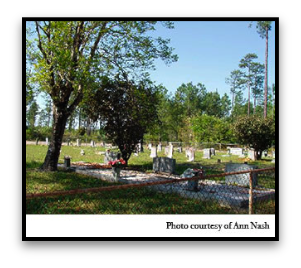 The cemetery is on public land and is administered by the Harrison County Board of Supervisors. Many thanks to Ann Nash for allowing me to use her photograph. 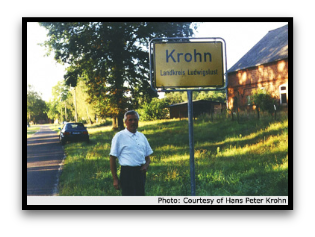 If you have any information that you think would be of interest to other Krohns, then please send me - Patrick Krohn - an e-mail to make arrangements to have the information displayed in this section of krohn.org.